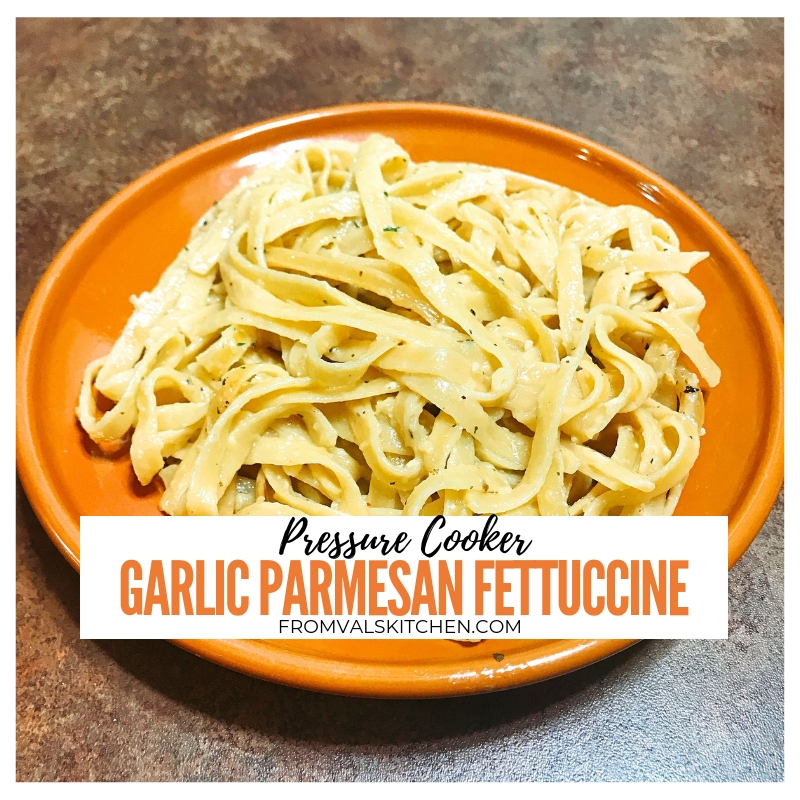 Pressure Cooker Garlic Parmesan Fettuccine is an easy one-pot dish that works as a main or side. It’s simplicity makes it perfect for any busy weeknight. 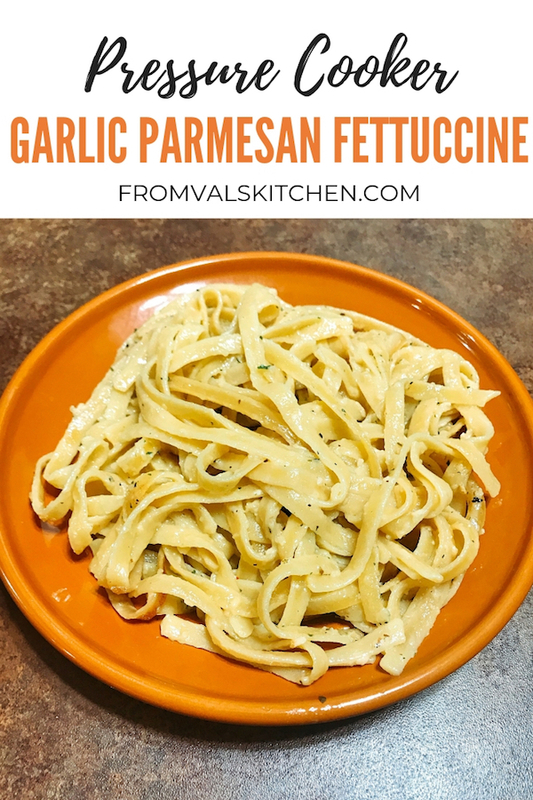 Pressure Cooker Garlic Parmesan Fettuccine is an easy one-pot dish that works as a main or side. It’s simplicity makes it perfect for any busy weeknight. Using an electric pressure cooker means you don’t even have to stand in the kitchen near the stovetop, freeing your time for family or other things. 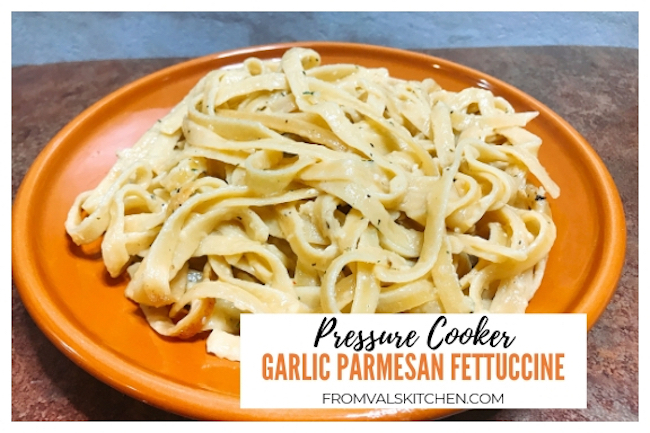 Here’s how I make Pressure Cooker Garlic Parmesan Fettuccine. Plug in the pressure cooker and select the saute setting. Pour a little olive oil into the bottom of the pot. Add the minced garlic to the pot and saute it for a few minutes. While the minced garlic is cooking, combine the melted butter, milk and Italian seasoning and stir well. Break the fettuccine noodles in half and put them into the pot. Add the milk and butter mixture to the pot, followed by the broth and Italian seasoning. Stir gently and try to cover all of the fettuccine noodles. Put the cover onto the pressure cooker and close to seal. Add the grated parmesan to the pot and stir well. 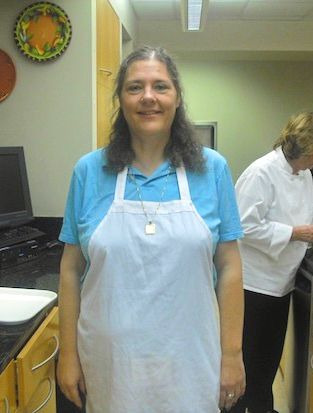 Plug in the pressure cooker and select the saute setting. Pour a little olive oil into the bottom of the pot. Add the minced garlic to the pot and saute it for a few minutes. While the minced garlic is cooking, combine the melted butter, milk and Italian seasoning and stir well. Break the fettuccine noodles in half and put them into the pot. Add the milk and butter mixture to the pot, followed by the broth and Italian seasoning. Stir gently and try to cover all of the fettuccine noodles. Put the cover onto the pressure cooker and close to seal. Set the pressure cooker to cook on manual high pressure for 5 minutes. Once the cooking time has ended do a quick pressure release. Add the grated parmesan to the pot and stir well. Serve immediately. Side or main, this selection hits its mark.